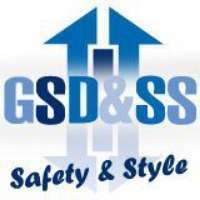 Geelong Security Doors is a proud, local family owned and operated manufacturer of shower screens, security doors and wardrobe doors in Ocean Grove. Geelong Security Doors is a proud, local family owned and operated manufacturer of shower screens, security doors, flyscreens and insect screens, sliding wardrobe doors, mirrors and pet doors with over 20 years of experience, delivering exceptional results to customers throughout the Geelong Bellarine and Surfcoast areas. At Geelong Security Doors, we have qualified specialists who guarantee a no fuss professional service every time our customers come to us. Backed by 12-month workmanship warranty, all our products and services are adequately covered under all circumstances. Make your home a safe and better place to live in with Geelong Security Doors' products and services.